Sixteen-year old Nadia Riley is a genius with puzzles, and when her calculus teacher challenges her to solve a puzzle, she does it within a minute. It's an equation that she sees as a polyalphabetic cipher... a code puzzle like the ones she's been doing all her life. When Nadia is offered a spot at Desert Mountain Academy, she jumps at it. But the elite, government-funded boarding school turns out to be a covert CIA program that trains students for Black Ops. Nadia's schedule includes the usual classes as well as Arabic, martial arts, and target practice. There are also campus-wide competitions called "survival courses" that feel a lot like Outward Bound. Toss in a crush on the team leader and a news leak about a double agent on campus, and you've got the perfect recipe for disaster. Or murder. 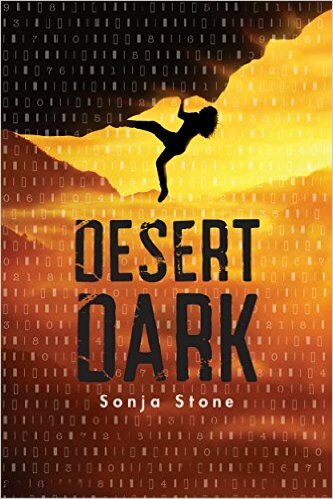 This is a fun book to read, a page-turner that will keep you burning the midnight oil til you flip the last page. Wondering when it will be turned into a movie... Review copy from publisher. I'm reading as fast as I can to get to the bottom of my book basket. That's where I re-discovered this gem that was published in the fall. 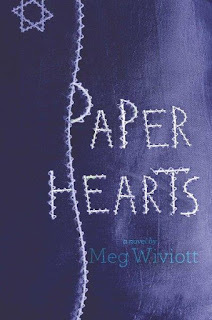 Paper Hearts is a story about Zlatka and her best friend, Fania. It's about how Zlatka stole and bartered for paper and scissors so she could make a birthday card for her friend. It is a story about an act of defiance, a statement of hope, and a crime punishable by death - because in Auschwitz, in 1944, making a birthday card for your friend was illegal. She was not a Jew. What I like love about this book: the abundance of awesome back matter! There is a picture of Fania's paper heart (which is on display at the Montreal Holocaust Memorial Centre). There is a glossary, so you can look up Hebrew words, German words, and camp slang. There is a bibliography, should you want to explore more. 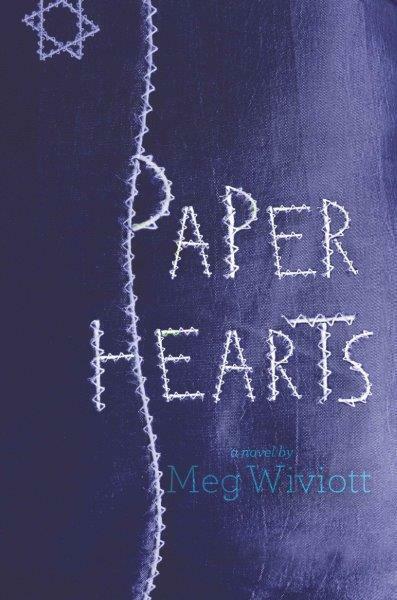 And there's a wonderful section about the true story that Paper Hearts is based on, and what changes the author made for artistic reasons. I'm always on the lookout for picture books that are inspired by nature. Here are two recently published books filled with lyrical prose that will leave your heart singing. As the sun sets, what sounds does the summer breeze carry into your room? 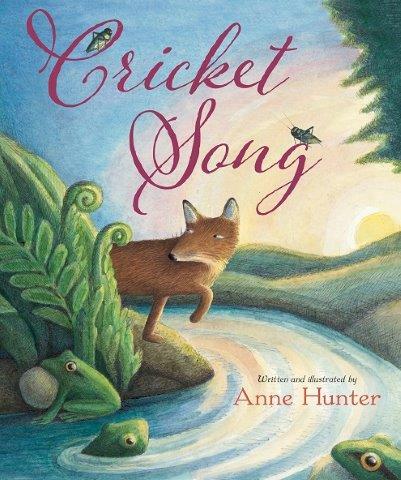 Is it the sound of crickets singing? The kreck kreck of frogs, or the call of a poorwill from beneath the trees? What I like (besides the wonderful noises of insects and amphibians) is the illustration that lies across the bottom of each spread. It's like a footer on a document, and shows parts of the story that words only allude to. Some reviewers call this a bedtime book. It could be - but it also could be a book that you use to begin a night of exploration (just save the last couple pages til you get back home and climb into bed). What could be more fun than sitting outside listening to crickets, frogs, and other critters of the night? As light and bright as it could be." This book reminded me of a song we used to sing when we were kids about a tree in a bog and a branch on that tree and a nest on the branch and a bird in the nest. You can listen to it here. In this book it's a boy and his dog heading off to Bird Hill. 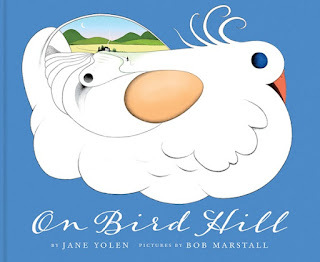 In rhyming couplets, Jane Yolen shows them finding a tree, and a nest, and a bird in that nest. It was hard not to sing the lines as I read along. What I like - besides the fun rhymes, is Bob Marstall's fanciful artwork. He evokes a Seussian habitat with brightly colored insects and a wild-feathered chick. Listen to night sounds. What do you hear: frogs? crickets? night birds? cats? coyotes? If you can, put red cellophane over a flashlight and sit outside to listen. (but make sure you are protected from mosquito bites). Draw some fanciful, Bob Marstall-inspired trees. A whole forest, or maybe just one that would be a perfect place to make a nest. Or a bird, cricket, frog.... have some fun. Today we're joining PPBF (perfect picture book Friday), an event in which bloggers share great picture books at Susanna Leonard Hill's site. She keeps an ever-growing list of Perfect Picture Books. Review copies provided by publishers. "Few remember the master mariner Hanson Crockett Gregory, though he was bold and brave and bright. But the pastry he invented more than 166 years ago is eaten daily by doughnut lovers everywhere." Hanson Gregory was just 13 when he went to sea. He wanted to learn as much as possible, and he eventually became a captain of a clipper, shipping foods from Maine to California. He even got a medal for heroism from the Queen of Spain. But what people remember him for: inventing the doughnut. What I like about this book: It's a true story that reads like a tall tale. Kitchen boy goofs up making buns; comes up with way to ensure there are no raw, doughy centers by cutting them out. Sailors loved them and the rest is history. 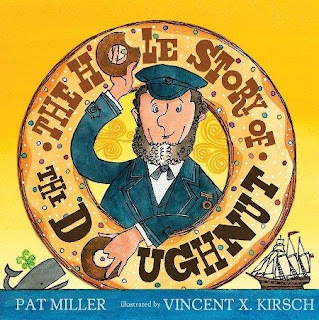 It's fun to read and the illustrations are clever, but make sure you've got a plate of doughnuts because everyone will want one when you turn the last page. I like that there's back matter: author's note, a timeline, a bibliography of resources. I also like that author Pat Miller was inspired to write this book by a snippet of conversation she overheard. On a tour of Boston Harbor the guide offhandedly commented, "The guy who invented the hole in the doughnut is buried over there." That, and Miller's curiosity, led her to discover a delicious story. Celebrate National Donut Day. The first Friday of June (that's today) is National Donut Day, so find a place that serves doughnuts and celebrate. Check out this video about how doughnuts are made. Make a cardboard Doughnut Ring Toss game. All you need is cardboard, scissors, paint and paper and glue and your imagination - and a dowel to pound into the ground for the target peg. Get some ideas here. Make donuts out of old socks. You can toss them into a basket, play catch, juggle, or create a bakery. Directions here. Today we're joining PPBF (perfect picture book Friday), an event in which bloggers share great picture books at Susanna Leonard Hill's site. She keeps an ever-growing list of Perfect Picture Books. On Monday we're joining the roundup over at the Nonfiction Monday blog where you'll find even more book reviews Review copy provided by the publisher.